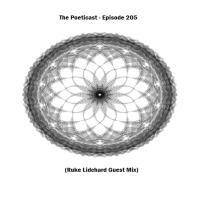 We are proud to welcome some more fine guests to the podcast this week as Leipzig based Electronic duo Ruke Lidchard serve up a tough 2 hours of Techno for the dedicated Poeticast faithful. The friends Lukas(21) and Richard(19) are both from Leipzig, Germany. They have been making music together since 2015 and the outcome of this is the project Ruke Lidchard. Both of them have been into the Techno sound for a long time now and the biggest dream for both of them was to produce their own material. Now they have performed several sets and have an EP on "Drec" Records forthcoming which will be released on the 14th February 2019. A big future ahead for this duo and this is a big mix, enjoy the show!